While other countries are preparing for an imminent threat of spread of the deadly virus known as Ebola, one has to think what is being done on our end to ensure the safety of our people if the virus finds its way to Pakistan. However, before we ponder over that, there are a few questions that need to be answered. Ebola, a Filovirus, has been around since 1976 but the largest outbreak to date has been this year and so far efforts to control it have been widely unsuccessful. It is confined to Africa at the moment with the hardest hit countries being Sierra Leone, Liberia and Guinea with Nigeria and Senegal affected to a lesser extent. Fruit bats in Africa are thought to be natural hosts. Humans can get the infection through contact with infected animals as well as from their products. It can also spread human to human through contact with bodily secretions such as saliva, blood, urine, feces, contaminated needles and handling of corpses. The virus works by targeting the immune system. Once an individual gets infected, he may be asymptomatic for as long as 21 days – this is known as the incubation period. The virus is infective only when the symptoms begin to develop, which include flu like sickness, fever and muscle aches, followed by severe vomiting and diarrhea. Eventually, it leads to kidney and liver failure as well as external and internal bleeding. It can easily be confused with other diseases like hepatitis, malaria, typhoid, and dengue. Why the need to be concerned? 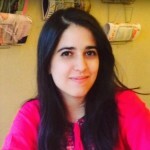 Pakistan has barely been keeping up with the control of the last deadly epidemic to hit the country, the dengue fever, which still makes the occasional headlines. But the fact of the matter is that Ebola is a much bigger threat. With a fatality rate of 70.8%, Ebola is one of the deadliest viruses known to mankind. Due to the long incubation period, a person can travel and move about with no inkling of carrying the disease. In Africa, the disease is spreading at an unprecedented rate with 1.4 million people in Sierra Leone and Liberia expected to be infected by early next year. According to a recently published report, it is also being feared that the disease may never be brought under control in the affected countries and it may become endemic, disrupting their way of life and become a breeding ground with constant threat of spreading elsewhere. The situation is so dire in Sierra Leone that a four-day countrywide lockdown was ordered with nobody being allowed to leave their home in an attempt to isolate and identify people affected. To make matters worse, many people, due to the fear of being isolated, are taking to extreme measures to avoid being detected. 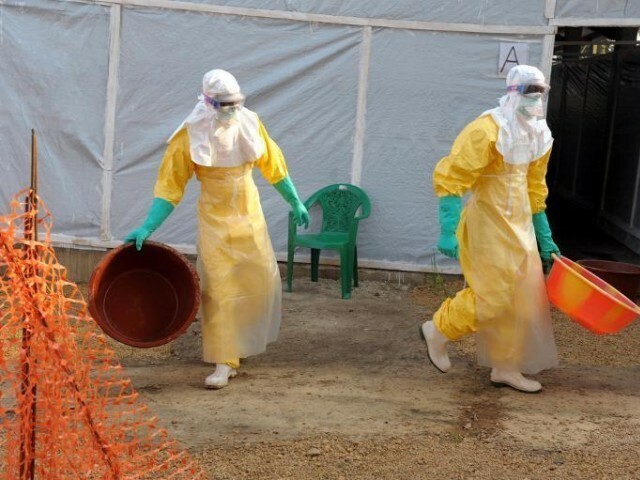 Recently, eight health personnel, while trying to spread information and retrieve the dead, have been killed in Guinea. Various rumors about the disease being deliberately spread to kill the locals have also added fuel to the fire. “An international public health emergency”. Intensive supportive care to the severely ill and intravenous or oral rehydration is the only thing that can be offered once the disease manifests itself. An experimental drug, previously only tested on monkeys, was given to two American health care workers affected in Africa in a desperate attempt to save them, and it showed miraculous results. However, since ZMapp has yet to undergo proper clinical trial, it hasn’t been approved for widespread use. 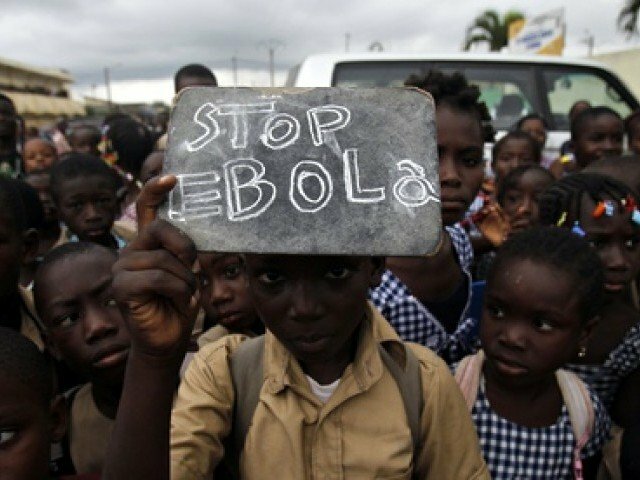 The United States has also pledged to help in controlling the disease with President Barack Obama at the recent UN meeting, calling Ebola a threat to global security. A big cause for concern is the ongoing Hajj where Muslims from all over the world have gathered. Although Saudi Arabia has banned the three major countries battling the epidemic, Nigeria has not been included in the list. Incidentally, Nigeria, also affected by the virus, is known to have one of the biggest populations of pilgrims. The ramifications of this are indeed great with this being the ideal scenario for the disease to literally go ‘viral’. Pakistan being an overpopulated country with poor sanitation measures is the ideal place for a virus like Ebola to nurture and thrive. That coupled with our poor history of keeping up with infectious diseases (polio being a big example), one has to worry about the catastrophic effects it may have, should the virus make its way here. The WHO has recently contacted health personnel in Pakistan to remain vigilant in screening for the disease. Although the government has issued advisory to all the provinces, one has to question, is this enough? The government also seems optimistic that since very few people travel to Africa from Pakistan and vice versa, the risk of the disease spreading here is minimal. However, let us not forget that it only takes one Ebola patient to wreak havoc as evidenced in Nigeria where only one passenger travelling by air brought the disease to the country. Ours being a country with limited resources spent on hospitals, let alone on isolation units of hospitals, it is alarming indeed as the only way to really contain this disease is strict isolation of affected individuals. Training of health personnel, investment in quarantine and isolation programs, is the need of the hour. Strict screening at airports and follow-up of people returning from Ebola countries and Hajj should be in place. Media should also play its part by creating awareness of this disease. People returning from the above mentioned countries as well as Hajj should themselves be alert to any signs or symptoms, and immediately seek medical attention to avoid putting others at risk. Forewarned is forearmed but sadly, our country has a history of waking up only when we are hit with a calamity. The truth of the matter is that we cannot stop the disease from spreading but we can lessen the blow if we take preventive measures now. Ebola is a threat, a grave one for that matter, which should be taken seriously before we become engulfed in its deadly aftermath. Do not underestimate this virus ppl! If it continues to grow the way it is, expect within 6 months for most of Africa to be closed off. Sierra Leone is now putting 2 million people in quarantine! The author spoke about hajj. Truly the virus can spread easily. And wherever it spreads, expect the government to have forced quarantines- ie forcibly taking of sick people to camps to die. This event can make the Black Plague look mild. It is more serious than anyone realises. every nation will close off their borders with each other, air travel will cease and if a city is infected, everyone will attempt to flee, leaving mass mayhem and destruction behind. Imagine this time next year, half of Africa in chaos and whole countries getting eradicated with over a million dead. And once the media reports a couple of cases in either London or NYC, all hell will break loose! Millions will attempt to run, but to no avail. Roads will be blocked, military will take over, the society will collapse along with the electricity and the food will run out. Anarchy, cannibalism, you name it; it will ensue. Haji’s from three countries not allowed Hajj this year meanwhile Nigeria is cleared now. First case of Ebola outside the African continent has been reported in US in Dallas! Very worrying news although, it was bound to happen at some point. If a patient managed to travel to US from Africa without being detected, all attempts to ward off the disease have failed.The bubble of safety has officially burst. Our government needs to take notice of this new development and take necessary precautions at our end, sooner than later.